Benjamin Franklin once observed, "Money never made a man happy yet, nor will it. The more a man has, the more he wants. Instead of filling a vacuum, it makes one. " Lake Success follows in the tradition of other works on amoral investors who make hash of their lives such as American Psycho, Black Edge, The Wolf on Wall Street, Nothing Personal, and Bonfire of the Vanities. Shteyngart's novel spans the years 1987 to 2016. Barry Cohen is hedge fund investor who is very good at hustling high rollers to slap down their cash. He's very bad at actually making those investments pay off, but each time one of his enterprises collapses, he still pockets tens of millions of dollars. He's the kind of guy who thinks he can buy or smooth talk his way out of any situation, and that he can "fix" people by giving them advice. Overall, Barry is a jerk. He calls himself a "moderate Republican." He also thinks that opening a ten thousand bottle of wine makes him sophisticated, and that bragging about money makes him seem brilliant, not boorish. Barry's a walking model of conspicuous consumption, which he wears on his wrist. He is obsessed by expensive watches–such as Patek Phillipes– that sell for several million dollars. Barry's other collections include a Manhattan penthouse and an attractive wife, Seema, who is the daughter of Sri Lankan immigrants. What could possibly go wrong? How about insider trading and peddling investments in a drug that harmed rather than helped. But the thing that really knocks Barry off his pedestal is his son, Shiva, who is born "on the spectrum;" that is, severely autistic. Lake Success is told, in alternating chapters, from Barry's point of view and then Seema's. Barry can afford a nanny to care for Shiva, but he can't buy his way out of an impending SEC indictment, Seema's growing contempt of him, or his embarrassment over Shiva's limitations. He reaches a crisis point when Seema talks him into having dinner with Luis and Julianna, who live in their apartment building. Barry thinks that Luis, an author, is a fraud–and he might be right–but it bugs him more that they are insufficiently impressed by his stature, and he's crestfallen by the sight of their clever son Arturo. When play dates for the children come up, Barry instead insults his hosts, an attempt to keep Shiva's condition secret. When the house of cards begins to tumble, Barry impulsively decides to bail. He takes some cash, a "rollerboard"–I think Shteyngart meant "roll aboard"–clothing, and some of his favorite watches, heads to Port Authority, and tosses his phone into a rubbish bin. He doesn't have much of a plan beyond finding his college girlfriend Layla, and boards a Greyhound bus to begin that quest. A rich boy on a Greyhound bus? One who thinks he can somehow reconnect with his lit major days at Princeton? What won't go wrong? Barry meets many people on his journey: a one-eyed Mexican, a 9-year-old boy who is devoted to maps, a crack dealer he contemplates managing, an ex-protégé he fired, a beautiful black woman named Brooklyn who works at a Marriott in Jackson, Mississippi, and Layla herself. The longer the trip goes on, the further downward Barry spirals. His absence affords Seema a chance to test her wings, which she will do sexually, socially, and vocationally. Will Barry learn from his experience? Not really. In his words, "Like your first ankle monitor bracelet or your fourth divorce, the occasional break with reality was an important part of any hedge-fund titan’s biography.” When he resurfaces in New York, he sets up shop anew, and bores everyone with romanticized and sanitized retellings of his road trip. Only the clueless rich can make a bus journey sound as if it's like feeding Delhi slum children; only a conceited one can overlook the hurt he authored or his own degradation, and still think he can pick up where he left off. 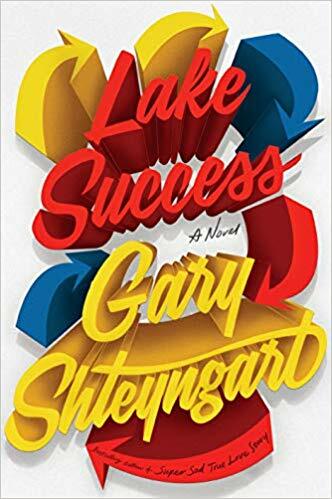 Lake Success is more than a book about Wall Streeters gone bad; it's also Shteyngart's attempt to capture the tone of writers such as Jack Kerouac and F. Scott Fitzgerald. It is telling that Barry's last hedge fund–The Last Tycoon–is named for Fitzgerald's unfinished novel. (Barry is decidedly an unfinished product.) Ditto the fact that Lake Success is a real place on Long Island not far from Great Neck, the model for West Egg in Fitzgerald's The Great Gatsby. Lake Success is a well-written book, but it has flaws. First, there is a dearth of likable characters. Seema is like a dark-skinned Daisy Buchanan, a prima donna whose own moral compass often fails to point toward true north. She clearly loves being a rich New Yorker, with or without Barry. Most of the secondary characters are also morally challenged, hence it's as if everyone is operating his or her own version of a high-risk hedge fund. The Great Gatsby is proof that one can write a brilliant novel with few sympathetic characters, but Shteyngart's risky investments don't always pan out. Aside from Shiva, Arturo, and Seema's parents, you won't lose sleep when bad things happen to nasty people. I wasn't wild about Shteyngart's final chapters. There is redemption of sorts, but do we believe it or even care? Shteyngart really could have ended the novel when the Reagan/Bush recession ended in the early 1990s. Pushing the timeframe to 2016 was an attempt to make backdoor inferences about double-dealing during the age of Trump. Does he do so because he wants us to believe that this too shall pass, or because he's pessimistic about the inability to rein in Barry-like recklessness that has surfaced repeatedly since the 1920s? In other words, is Lake Success an ironic title, or a descriptive one? 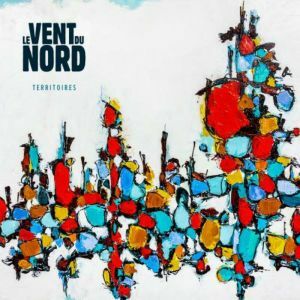 Longtime readers might recognize that the Quebeçois band Le Vent du Nord gets a lot of praise on this site. There's a reason for that. For the past 17 years, Le Vent du Nord (The North Wind) has consistently raised the bar for musical excellence. Their hot-off-the-presses new release Territoires celebrates many things, including the intersections between city and village. If you go to the band's Website you'll find an excellent video of their song "Adieu du Village" in which the band brings cool vibes and some rock and roll flavoring to a song that's a poignant blend of old and new–a reworking of folk traditions from the Montérégie region (100 km. east of Montreal) with some eco-awareness tossed in as well. You'll experience a twisty tune that's driven by the powerful voice and cranked up hurdy-gurdy excursions of Nicolas Boulerice, who just happens to live in a pretty small village: Saint-Antoine-sur-Richelieu (pop. 1,700), an hour northeast of Montreal. Bass player Réjean Brunet and his brother André hail from a wee place as well, Lacolle, just across the border from the Champlain Islands of Vermont. And if you really want to get into the sticks musically, journey with Le Vent's Olivier Demers (fiddle, feet, bombarde, guitar) to the sparsely populated "Côte-Nord," where the St. Lawrence dumps into the Atlantic. The band gives this song a gentle, dream-like treatment. Every track on the CD is a treat. "Chausaro" zips along at a nice clip, Réjan's melodeon makes "Le Step A Alexis" feel like a kitchen party, "Le Jardinier" is a cheeky little number, and "Evolution Tranquille" is an ironically titled merde-kicker that will make you bust out some hard soled shoes and give clogging the old college try. There's a bit of everything on this release, even some sweet, quiet Celtic-style folk: "La Mère Á L'Échafaud." One of the only things better than listening to a Le Vent du Nord recording is catching them live. I've been lucky enough to do that a good half dozen times, but you can see them in a videotaped 2017 Shrewsbury Folk Festival appearance. As you'll see, this is a leave-it-all-on-the-stage kind of band.